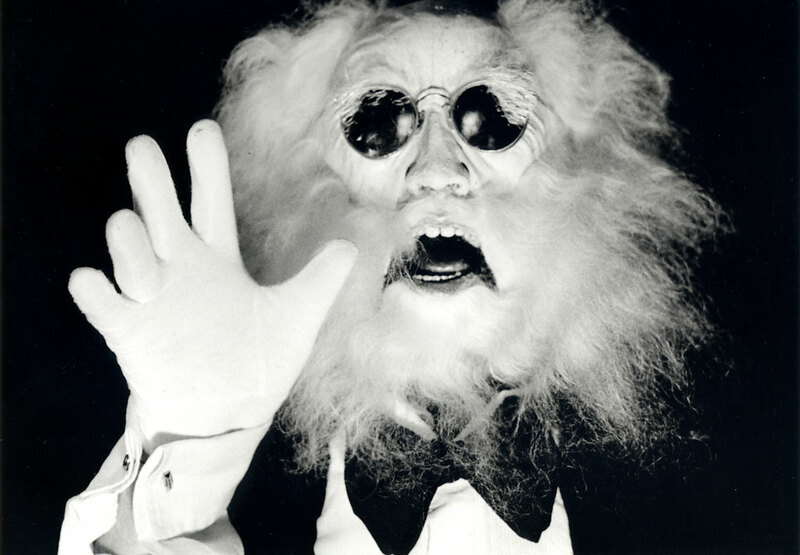 Featured Image: Photograph of the Storyteller by Ted D’Arms (1937-2011), also an actor who gave the character its first voice on tape. 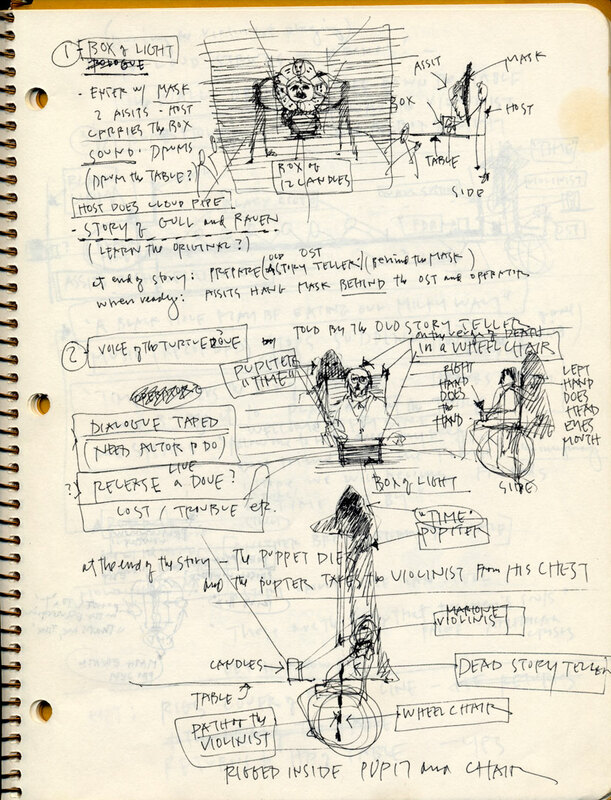 The idea of creating a Storyteller came following our first performance in 1988 where I performed the introduction dressed in a tuxedo jacket. 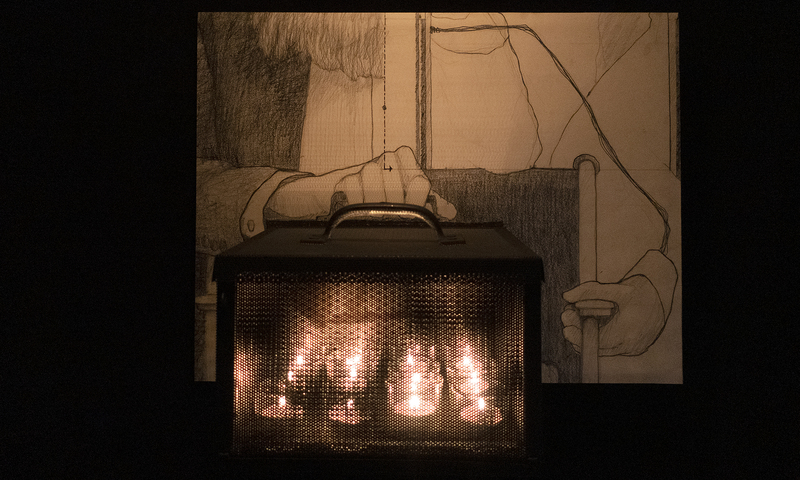 The form of the puppet was inspired by a character created by the Carter Family Marionettes where one hand works the mouth while the other, the right hand in my case, adds the gestures to the words. 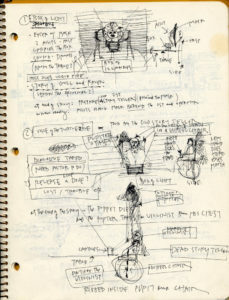 This page from the sketchbook shows the idea of placing the Storyteller in a wheelchair, in order to move it around and tell the audience that the character was old. The head was made of rubber latex with a full mouth of sculpted teeth attached to a glove for my hand. Hair had to be added a strand at a time. Making the character blind saved the even more arduous task of creating eyeballs! Somewhere along the way came the idea to have the Storyteller assassinated and for me to open its shirt and remove the violinist, a marionette playing Paganini! A new opening was coming together. 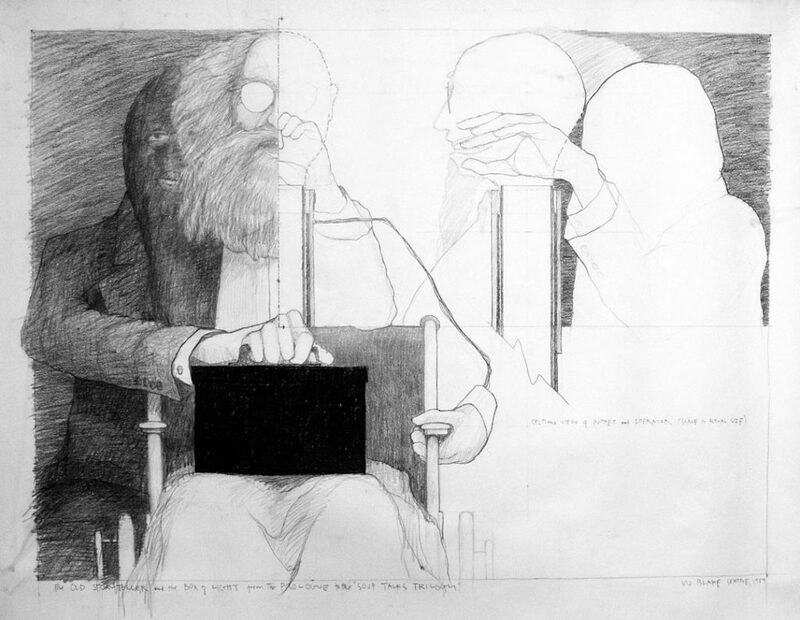 Two Views of the Storyteller & Operator with the Box of Light, 1989, 54″w x 42″h, pencil on Arches paper.